Markings: Wet stamp on recto mount: "Ch. Aubry Photographie/[monogram]/8 rue de la Reine Blanche". Blindstamp on recto mount: "Medaille d'Or/ a Ch. Aubry/1864." After working as a designer of patterns for carpets, fabrics, and wallpapers, Aubry formed a company to manufacture plaster casts and make photographs of plants and flowers. His detailed prints of natural forms were intended to replace the lithographs traditionally used by students of industrial design. 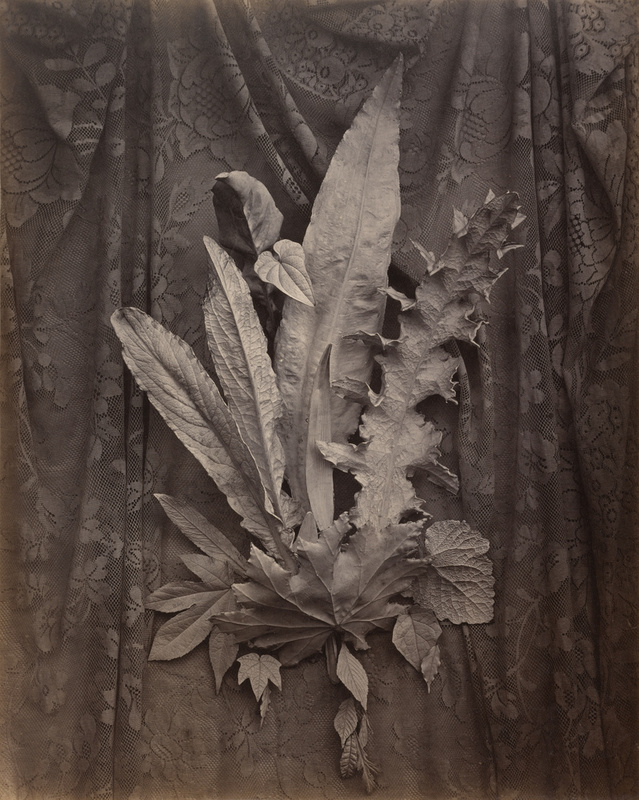 This close-up of a delicate arrangement of leaves and grasses on a lace-covered background appears as if a slight movement of air could disturb it.